We understand that dental treatment can often be an uncomfortable and nerve wracking experience for some patients. After your leave treatment, some unexpected things can come up which can be solved easily. Refer to the columns below for answers to any of your questions. Often times we will instruct you on how to take care of yourself or the patient when you leave our office. We review these instructions verbally with all patients and their guardians as to minimize any post operative complications. 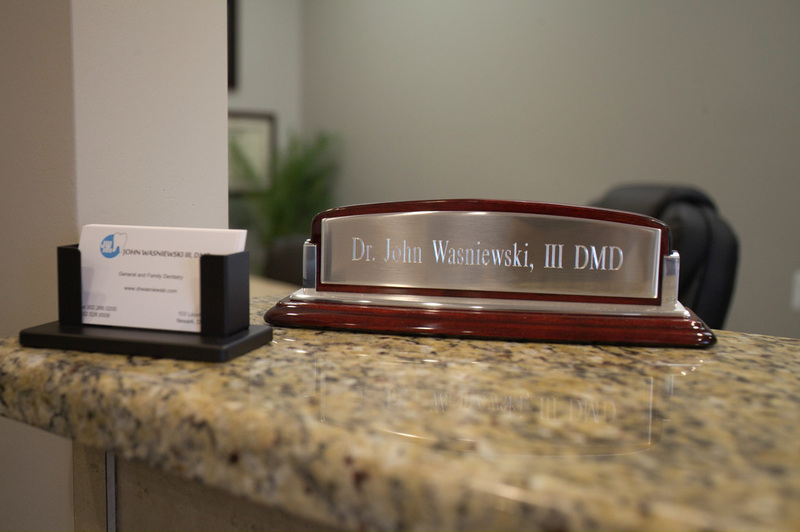 We strive to provide you with excellent dental treatment as well as gentle, and pain-free care. This page is a good resource to consult if you have any questions. As always, you can call the office if you are experiencing a problem or complication. After your tooth or teeth have been extracted, you will be numb for a few hours after. Get any prescriptions filled and begin taking them before any anesthesia wears off. Keep biting on the gauze we provided you, and change it out for a new piece that we provided you, every 20 minutes until the gauze is a pink color (usually about 45 minutes). Expect some slight oozing still. Avoid drinking very hot liquids, or eating foods like chips or pretzels that could lodge inside of the healing area. Avoid smoking, drinking through a straw, or any other activity that puts negative pressure in your mouth. If bleeding persists after 2 hours, exchange the gauze for a tea bag and call the office immediately. Stitches will typically fall out on their own 3-7 days after the extraction, unless they are silk. Dr. John will let you know. If you had a difficult extraction and are experiencing pain, bad taste, or odor in your mouth, you may have a dry socket and should call the office to schedule a post-operative visit. Numbness: Post-operatively you will be numb anywhere from 30 minutes, up to 4 hours depending on the type and amount of anesthesia, and your sensitivity to the drug. Pain at the Injection Site: the area where the needle was inserted could be sore for up to 5 to 7 days, particularly if it passed through muscle tissue. Please use Tylenol or Ibuprofen as needed. Post-Operative Sensitivity: After your procedure, it is not uncommon to have sensitivity for a few days or weeks, mainly to cold or warm drinks. If the filling is "deep" or close to the pulp (nerve) of the tooth, we will try to diminish the occurence of this sensitivity by applying a varnish, liner, insulator, or pulp cap when indicated. If your sensitivity lingers, we will try a non-invasive solution such as Sensodyne toothpaste or a Fluoride treatment. Sometimes minor sensitivities take a few weeks to diminish as the tooth heals from the inside. If your post operative sensitivity turns to pain or swelling then the tooth may need Root Canal Therapy or an Extraction. Temporary Crowns and Bridges: If you recently had a crown or bridge placed and your temporary is broken or has come off, please call us immediately. We will get you in right away to re-cement it. If possible, line the inside of the temporary with Vaseline and put it over the tooth to temporarily secure it. For most children, experiencing local anesthesia can be a scary, funny, or unusual event. After a filling, pulpotomy, or extraction, they will be numb on their lips, tongue or face. Please monitor your child so they do not bite, injure, or hurt the numbed area. Neglecting to do so could cause your child more pain and post operative problems once the anesthesia wears off. If your child had a primary (baby) tooth extracted, give them a children's Tylenol or Ibuprofen as indicated on the bottle. If your child requires an antibiotic, please fill it and start it immediately as directed. Sometimes after a child's baby tooth is extracted, the doctor will recommend to have a space maintainer made, we will schedule this about 4 weeks after the tissue has healed. Follow the instructions for an extracted tooth in the far left column for post operative instructions. Children heal a lot more rapidly than adults and often are "ready to play" the next day. Ask our office for any excuse forms for daycare or school and we will gladly provide those.